It Is What It Is: Happy St. Patrick's Day! Hope you're all feeling lucky today. I think I might just go out and buy a lottery ticket, because I have my very own, very obscure, good luck charm. "Cael, you look good in your green outfit today. Just like a leprechaun!" "Don't you remember from last year? 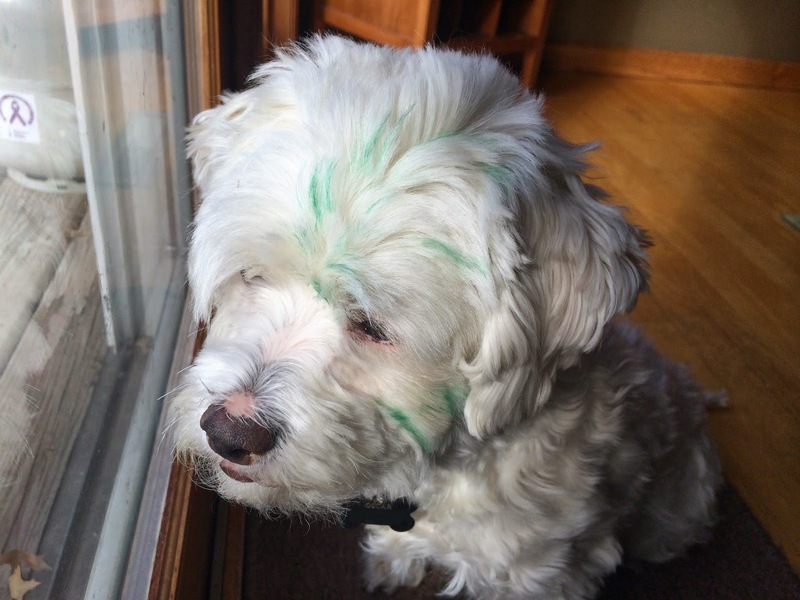 He's a tiny little guy, dressed all in green, and he brings good luck on St. Patrick's Day." "How is he like Oscar? Oscar is a dog. A white dog." May your holiday be lucky, and your animals un-vandalized.